So… I’ve not spoken a lot of the wedding recently… I think part of me doesn’t want to completely bore you senseless, but I think another part of me doesn’t or didn’t want you to know some of the thoughts running around in my head the last few months. 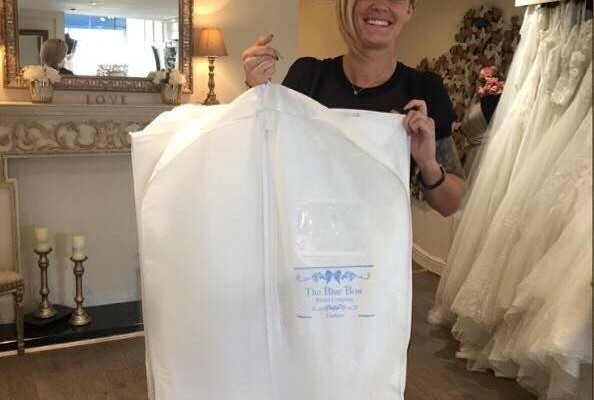 So… when I bought my dress in January I was mega excited!!! I was going to do a bulk to grow my backside a little bit… I can’t actually remember if I wrote much about this after purchasing the dress as it’s always something I don’t like to talk about much because people say, “you’re fine as you are”, or you get those who are wanting to lose weight for their weddings looking at me with pure disgust. I don’t even know why I feel a little embarrassed sharing this with you now, but the dress was ordered in a size 6 and my bottom was measuring in at a size 4, hence why I wanted to work on it, so I was in proportion. I started training legs twice a week and eating a lot more (all-be it inconsistently) and I could see the changes starting to happen a few months in… cue minor meltdown… “Ross my dress isn’t going to fit”… I was measuring myself every few weeks to check I hadn’t over done it. In my head, I was thinking I’m going to do too much, the dress won’t fit, then logically I was reasoning with my knowledge that there was no physical way that I can add that much muscle to my arse in such a short space of time… Apparently, I could!! I measured in on the cusp of a size 6 a couple of months back and I was like, no more… I can’t grow more my dress won’t fit… Ross was going his ends because he knew I was going a bit mental over it and he’s been trying to get me to train legs more for aaaaages because I’m a proper bro trainer, it’s all back, biceps and bench with me. I was literally dementing myself as I’m sure many women do over their dress!!! For 3 nights prior I was lying awake thinking about the turn out, thinking about what would happen if it didn’t fit. These thoughts were spilling into my dreams and I was actually dreaming out scenarios… wrong dress delivered, too small, ripped when sitting down… all scenarios that could happen in reality but were completely intensified in my head… nuts!!! I had a nose bleed the morning of the dress fitting too!!! → Do you get the results you actually want? ?